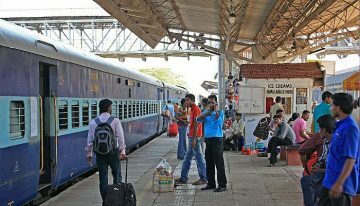 Indians commute via trains more than any other mode of transport, especially when travelling across cities and states. 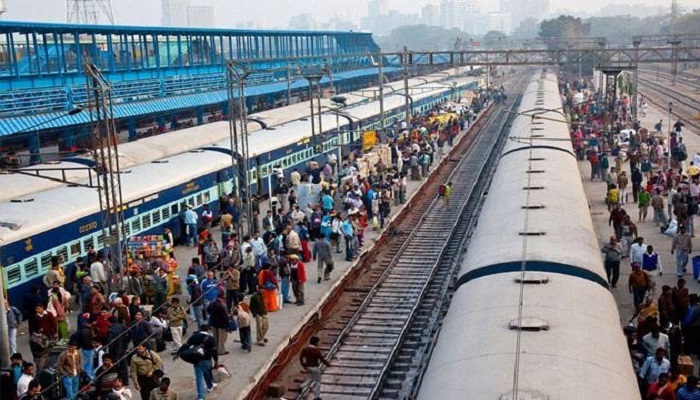 Exploding with a population of 1.2 billion people, trains offer an economic solution for travelling as many Indians cannot afford to spend a huge amount every time. Moreover, journey via a bus or car may not be very comfortable all the time and may also be more time-consuming. Considering these, Indian railways stations turn out to be one of the busiest locations in the country, helping people travel on a daily basis. There is more to Kolkata’s charm than the Howrah Bridge. Located on the west bank of the Hooghly River, Howrah Station is the oldest railway station in India that has been catering to millions of passengers for about 163 years now. Though there are 3 other railway stations in the city, it is still one of the busiest railway stations there is with a total of 23 platforms. If the leather industry and rich textiles of the ‘Manchester of The East’ don’t excite you, the city’s Railway station having nearly 280 trains every day definitely will. With 12 railway platforms, Kanpur Central Railway Station is one of the busiest railway stations in India. Besides being one of the 5 central railway stations in India, the station also holds the record for the largest interlocking route system in the world along with Delhi station and has been allowing passengers to travel for 88 years. It’s no surprise that Indians and foreign visitors can easily connect with the rich history of India alike. It is the cultural extravagance that attracts that leaves a great impact. Exhibiting this extraordinary vibrancy of the nation is the Chhatrapati Shivaji Terminus railway station that was built back in 1887. Displaying a unique amalgamation of Victorian Gothic style and traditional Indian architecture, the station has been catering to passengers since 128 years. Besides being the headquarters of Central Railways, it is also a UNESCO world heritage site. This is second busiest and one of the largest railway stations in India. With over 5,00,000 passengers commuting every day, New Delhi has over 350 trains arriving at the station. Being a station in the capital city of India and with 16 platforms, it is one of the busiest stations in India. Charbagh Railway Station is one of the two main railway stations of Lucknow with about 300 trains passing through the station every day. Though it has garnered much appreciation for its exotic architecture, this railway station also has the highest number of passengers commuting every day after Howrah station. The railway station took proper shape only in 1926 and thus has been serving passengers for 102 years. Being one of the major tourists spots down south, Trivandrum is popular for other reasons than the Padmanabhaswamy Temple. With almost 40,000 passengers hustling every day, it ranks third in the list of the busiest railway stations in India. Establishes 85 years ago, this connects Kerala to many other influential states in India. Home to the largest railway marshaling yard in Asia, Mughal Sarai is one of the most lively railway stations in India. Located in the state of Uttar Pradesh, it has saved its spot in the top hundred booking stations of Indian Railways. Located in Chhattisgarh, this station has the third longest railway platform of the country. It has been serving passengers for 128 years and has over 300 passenger trains passing through it daily.